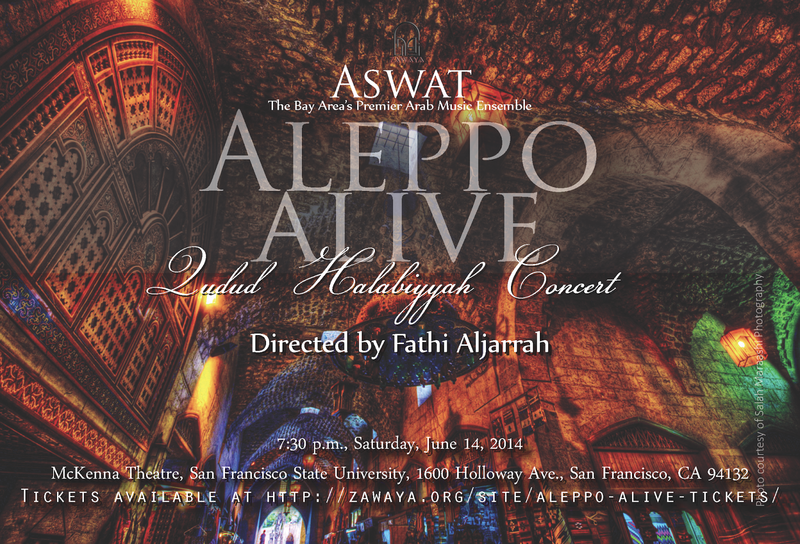 “Aleppo Alive” will consist of a “Wasleh”, a suite of songs and instrumental pieces in the Aleppine tradition, which is threatened existentially by the current civil war in Syria. It is a concert borne of a sentiment to help save the endangered musical heritage of Syria – especially of Aleppo, a historically significant centuries-old artistic hub of civilizations. Since Zawaya’s mandate is to preserve, present, and promote Arab music, at no point in time is this mandate more relevant than the present with Aleppo’s ongoing destruction.